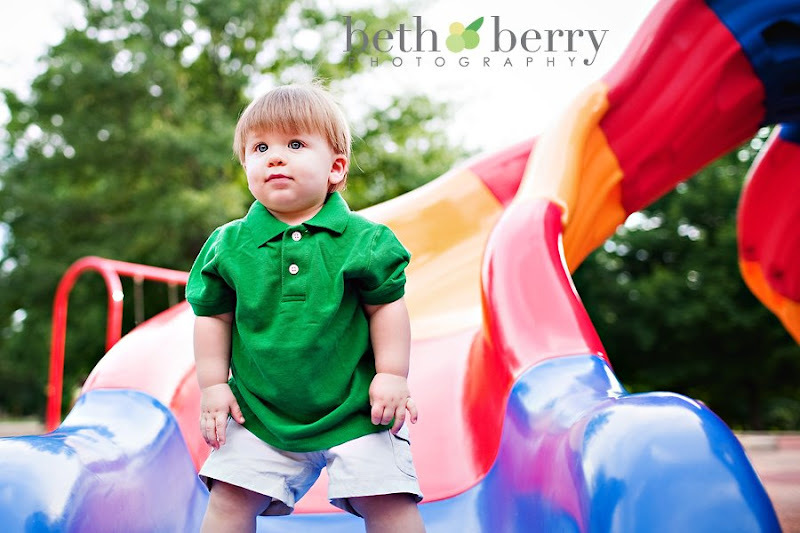 Beth Berry Photography: Colin: 1 year! 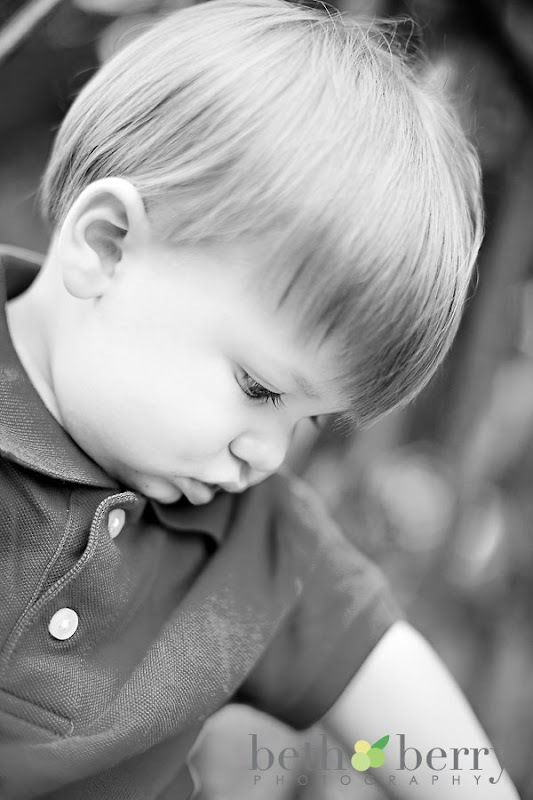 I'm so lucky to be shooting lots of one-year old's lately! 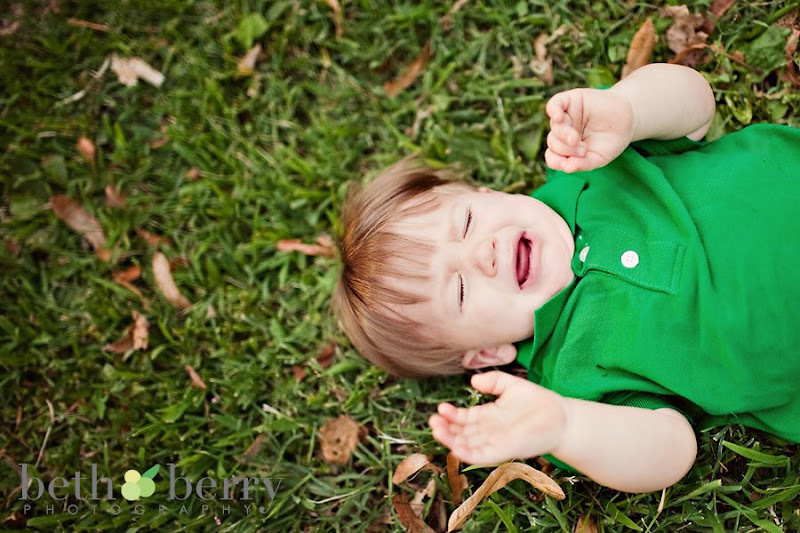 You may remember Colin from his newborn session a year ago, HERE! Only my 2nd ever newborn session! Well, he has become quite the cutie! We headed down to Lafayette Park...and now I know that this may not be the BEST place for a little guy who has just discovered his legs :) We spent lots of time keeping him from plunging into ponds, off bridges, and running in front of swings! All in a day's work...ha! Here he is! He wants to show you his belly! Just one of the MANY walking pictures...walking is SO FUN! "What? I can't eat sticks?" "Um I'm going to eat them anyway!" First big swing ride...not a fan! Colin looks all grown up standing on the slide! Oh baby butts, so cute! I would love for my blog readers to interact and comment more! 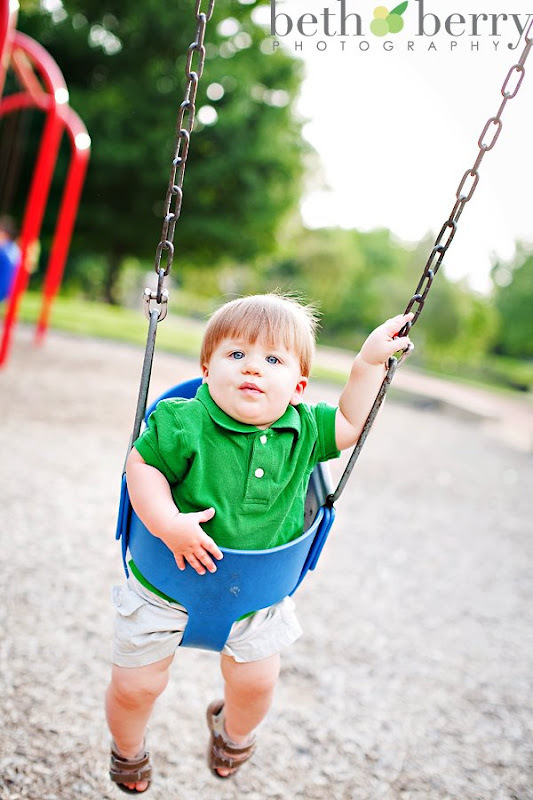 If Colin's blog post receives 10 or more comments, his parents will receive a free 8x10 of their favorite image! So get commenting!!!! Great photos! I recently shot a one-year-old too, and was definitely sore the next day! I think I was crawling around on the ground just as much as he was!! Cute! 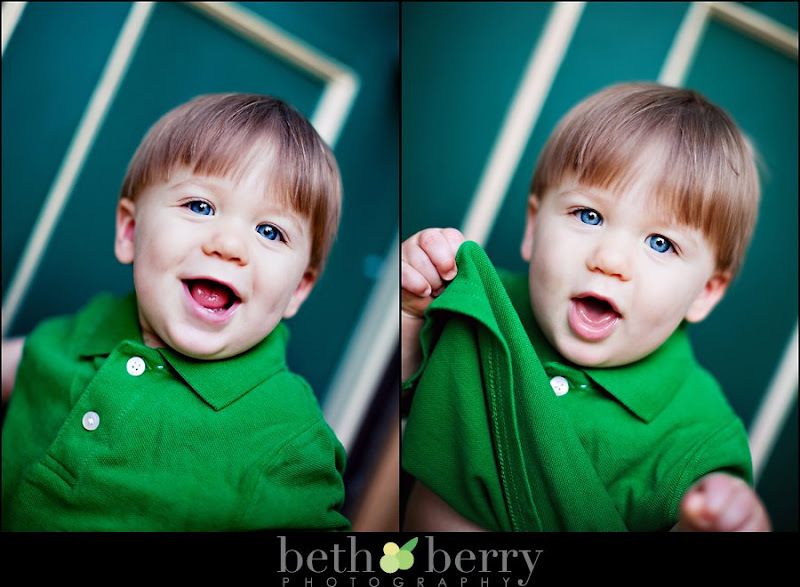 I love the first two - the blue and green make a gorgeous color combo! He is soooo cute and getting so big! 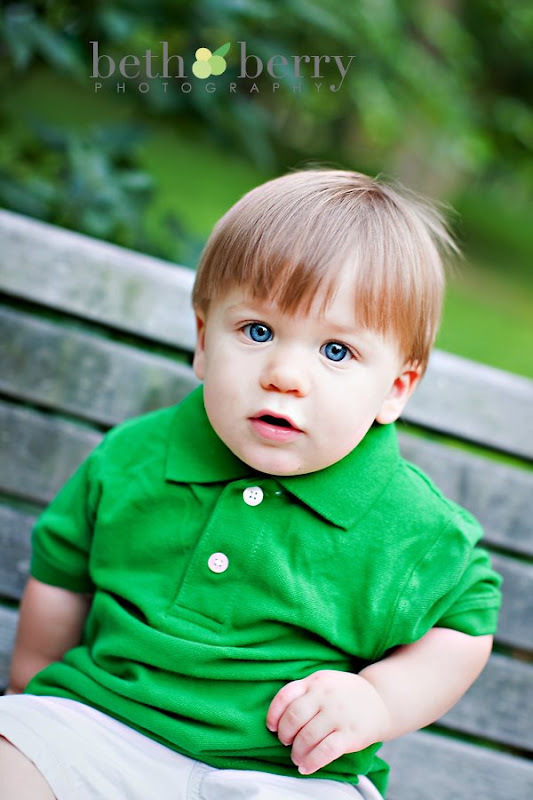 The green shirt wroks really well with his eyes! 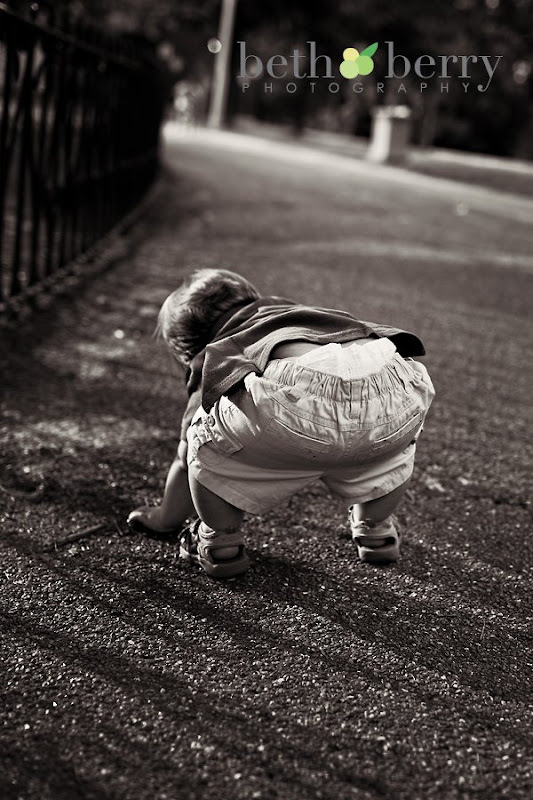 I think the black and white diaper pic is my favorite! These pics are amazing! My fave is the one on the bench. He is so cute. Too cute! I love the grass picture even if he didn't. I'm sure this one made his parents smile. Happy Birthday 2 days early. Your work is fantastic, of course your work is a little easier having such a cute and handsome little guy to photograph. You make us proud. Love the one with the leaves. Great job Beth. Great pics! Can't wait for you to take Carter's next week. I think my favorite is the black and white of him looking to the side. It is precious. Cute kid! Anything to help out the Rays:-) Great pics...look at those baby blues!!! Love the pics! Great job Beth! And Colin is so cute! I love them all but of course I'm his mama so I have to right? :) Beth, you did a wonderful job on this difficult subject which shows how truly talented you are. Thanks again for taking the time to do Colin's pictures! These pictures are beautiful! You made his pretty blue eyes even prettier! I will be needing your baby pictures services this fall. Wow. Pics are amazing! 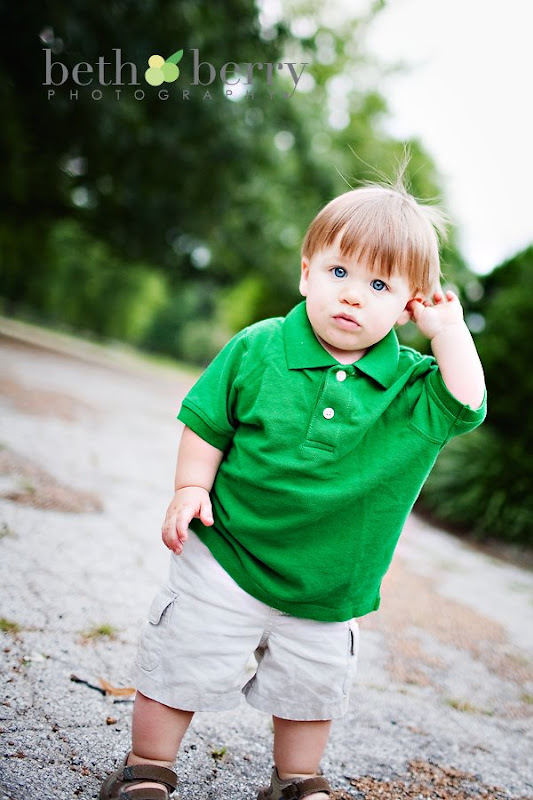 Great choice on the green polo. He looks so cute! We are going to have to use Beth for our family photos. Hope she doesn't mind our large family lol. She has a great eye! Happy First Birthday Colin!! I really love the last black and white of him bending over. The light is realy cool. Super cute!! He's growing up so fast. GREAT photos Beth!! I'm Wes' Aunt and have been a fan of yours since that first shoot last year! You have such a great eye, your wedding photos are amazing. My boyfriend is a professional sports photographer and I'm always telling him that your people pics are better than his!! Love these shots!!! :) I found your blog from a fellow photographer's site - your photos are gorgeous!!! oh the baby butts one is adorable!!! 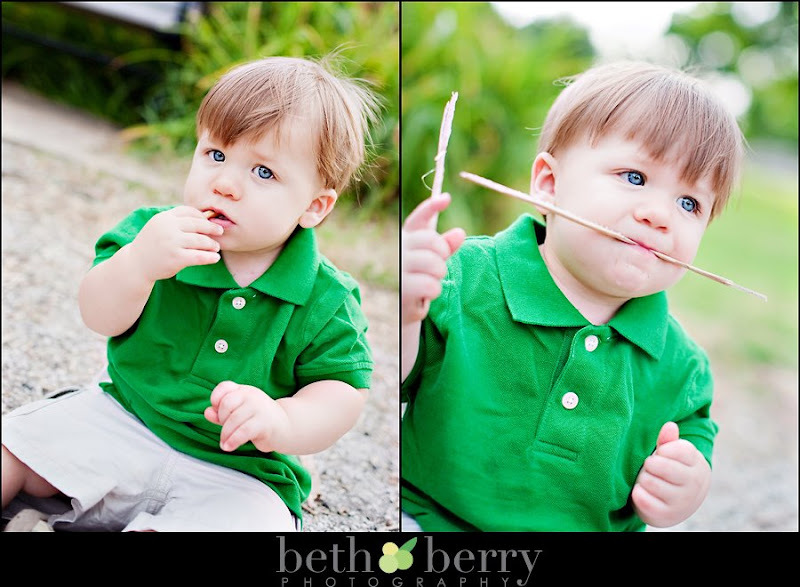 and love the ones of him eating the sticks. Great work! Colin is such a cutie! He's getting so big! those are great!